If we asked 10 people what the #1 cause of tooth decay is, how many different answers do you think we would get? What do you think? What’s the #1 cause of tooth decay? Some will say tooth decay is caused from bacteria in the mouth whose waste is acidic and eats away at our teeth. Others will say that eating sugar is the #1 cause because without the sugars in the mouth, the bad bugs wouldn’t have any food source to thrive. People who believe the rhetoric on water fluoridation would say that the lack of fluoride is the cause of tooth decay. Real Foodies would point the finger at the lack of minerals and fat soluble vitamins in the modern diet as the cause. Paleo oriented people will point the finger at grains as the culprit because grains are high in simple sugars and other components like phytic acid that disrupt mineral absorption and intestinal integrity. Vegan leaning people might say that excess animal protein consumption causes an acidic environment in the system provoking weaker teeth. Still others would point the finger at sugar due to the power that sugar has in disrupting the natural cleansing mechanism of the teeth called ‘dentinal fluid flow’. Some may argue that whether a person is prone or resistant to cavities is purely a genetic issue. While all of these may or may not have some basis in reality, none of them point to the #1 reason why teeth decay (from our perspective). Is you. Is me. Is each of us in our own lives. Specifically, the #1 cause of tooth decay in each of our lives is the amount of awareness we have cultivated toward what’s going on in our own mouths, solutions how to create greater oral health AND actions that we have taken to navigate this path to create a healthier mouth in our daily lives. That’s why we consider increasing our awareness to be the first step of dental self empowerment. Like we’ve shared many times, if we don’t know where we are, how on earth do we expect to know if the actions we are taking are helping us head in the right direction or not? It’s like trying to play a game of darts with your eyes closed. Without the feedback that seeing your progress provides, the likelihood of hitting the target is slim. And once we have gotten to know what’s going on in our mouths, unless we know what actions we can take (AND take them), we really can’t expect any positive change. 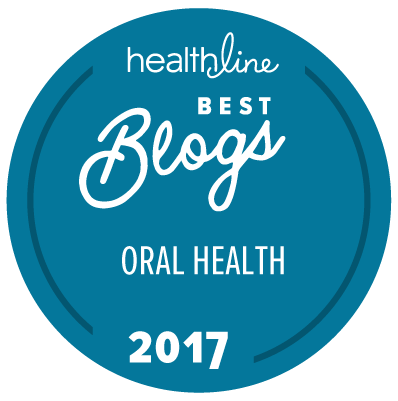 Since we love being with you every step of the way along your path to optimal oral health, here are some tools to help you navigate this path confidently. First, if you haven’t ever filled out an OraWellness Mouth Map, now is the time to do so. It only takes 15 minutes and the benefit you’ll gain is HUGE. You will finally have a dated record of your ‘current location’ so you can best know if the steps you are taking are helping or not. Here’s a link to an article that walks you through the process. If you want to take a couple more steps along the path to optimal oral health, here’s a link to a free video tutorial course, the 5 Steps to a Healthy Mouth. The 5 Steps is a series of short, focused videos delivered to your email every couple days to help you navigate to greater oral health. As always, we appreciate your help in sharing this information if you know someone who would benefit from being introduced to this empowering information. Thanks for reaching out to us here. I’m sorry you had a very disappointing dentist appointment and were unable to access our 5 Steps to a Healthy Mouth video series. Feel free to contact us with any questions, Arlene; we’re here to help. I´m a Dentist, and I must tell you, you hit the nail on the head, every one of us (even Dentists) need to take responsability of our own health! Thank you for your kind words of support. It’s such an honor when professionals stop by to offer your experience to this discussion.